Microsoft awarded Metric Theory with the Rising Star Agency of the Year Award at its 2017 Global Bing Partner Awards ceremony. The awards honor individuals and organizations behind some of the most impactful, innovative and performance-driven work among Bing Ads’ Partners in North America, Europe and APAC. Metric Theory Associate Director Madeline Kuttner and Senior Account Manager & Bing Specialist Kendall Todd at the award ceremony. 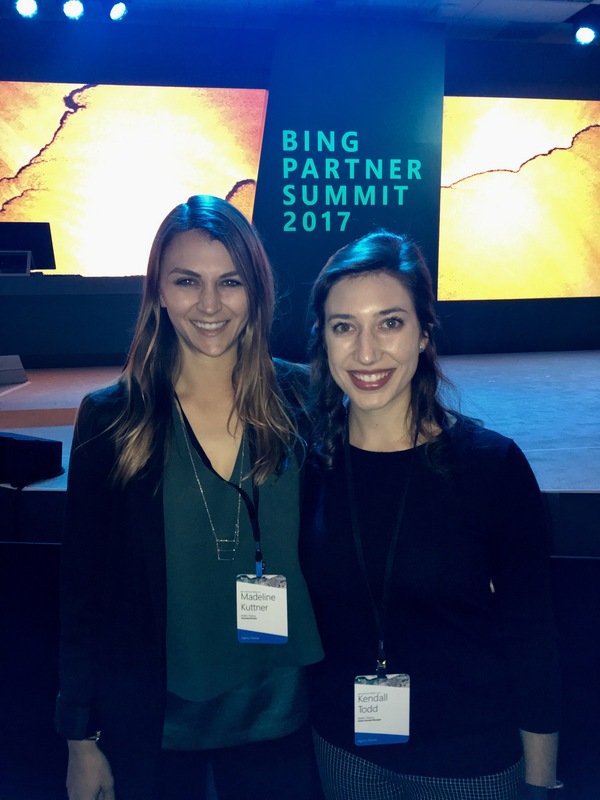 Metric Theory was recognized with the Rising Star Agency of the Year Award for partnering with Bing to drive improvements in client KPIs on the Bing platform. By working closely with our Bing Agency Representatives to stay up-to-date with new features and providing additional insights to clients, we have been able to create a relationship that sets our clients up for success. As an Elite Agency Partner in the Bing Partner Program, Metric Theory is part of a select group of top-performing companies to act as trusted advisors to Microsoft’s growing customer base for search advertising opportunities on the Bing Network. This enables Metric Theory to provide enhanced expertise and service to clients through exclusive access to trainings, marketing outreach and technology development. Metric Theory has successfully driven improved ROI for our search advertising clients thanks to our partnership with Bing. With 82 months of consecutive market share growth for the Bing Network, our ongoing partnership will continue to bring increased business opportunity for both our clients and our business. Metric Theory Clients such as Too Faced Cosmetics have seen significant increase in engagement for campaigns managed by Metric Theory on Bing, and we look forward to growing and extending this kind of opportunity to all our clients. For more details about Metric Theory, please visit our website. For more information on the Rising Star Agency of the Year Award and to see the complete list of winners, please see this Bing blog post. For more details about the Bing Partner Program, please visit here.